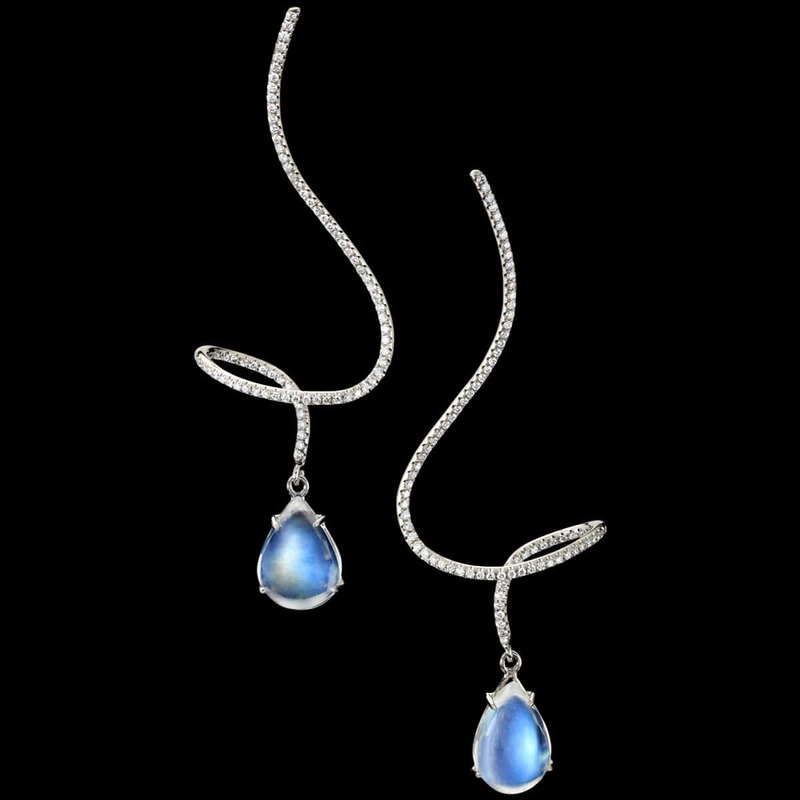 Moonstone Pirouette Earrings are playful and sophisticated. These unique 14 karat white gold earrings twirl whimsically with rainbow moonstones, accented by pavé set diamonds. To purchase, call (949) 715-0953 or use our contact form below.